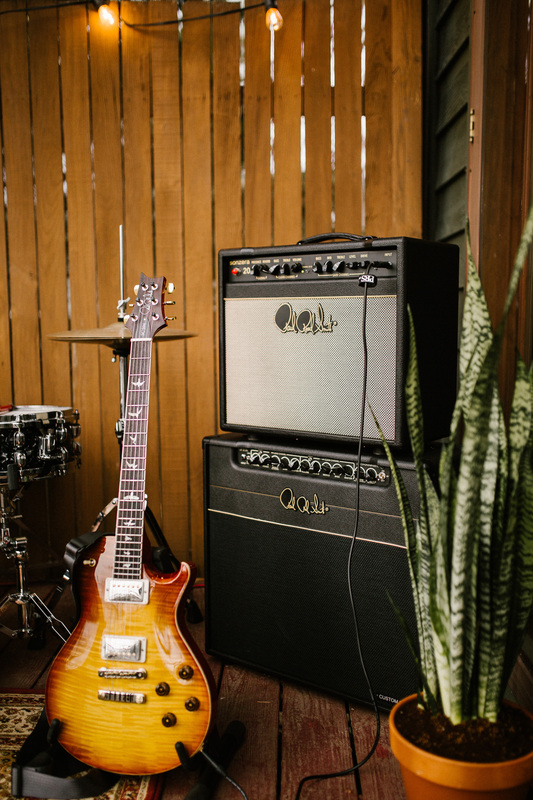 Having already collaborated with PRS on the fantastic Limited Edition Private Stock Super Eagle, released in the spring of 2016, John Mayer has also been closely involved in the development of the incredible new handwired, made in USA J-MOD 100 signature amp. And it’s a bit of a beast. The 100w, single-channel bruiser features a switchable gain stage and effects loop and is designed to deliver a huge, spread-out tone that develops rich harmonics and bite when the gain stage is kicked in. 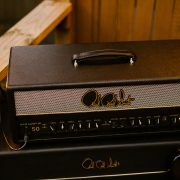 It’s a really versatile amp with both single-coils or humbuckers, and with three band EQ and bright switch AND a presence control to lift the power amp high-end, it’s super tweakable as far as tone is concerned. 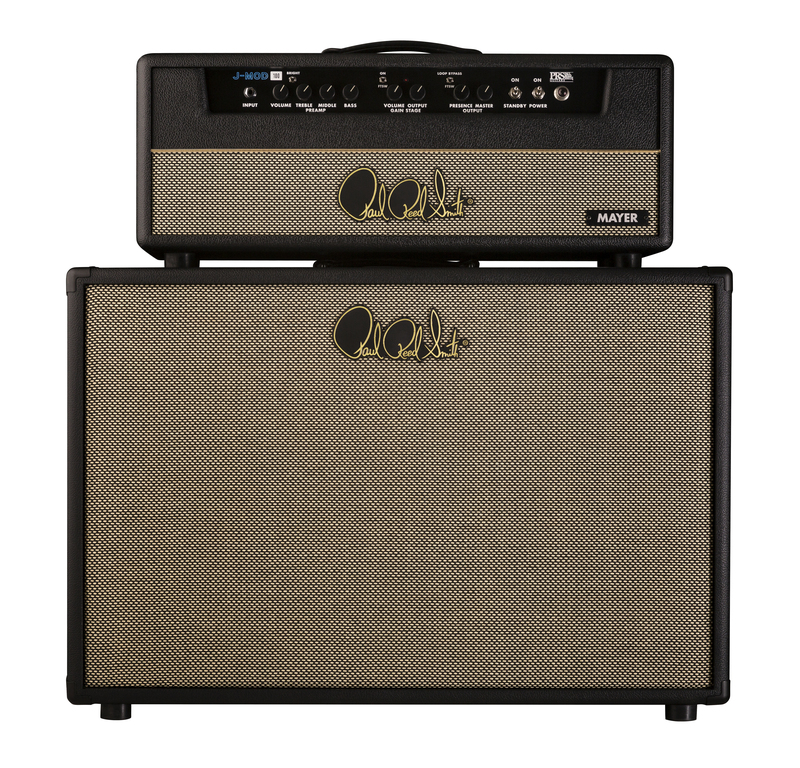 The amp is based around a four 12AX7 preamp / four 6L6 power amp design and is built on five separate boards, all with over-sized traces for tonal integrity. Each board is dedicated to a particular part of the circuit: preamp section, power section, front panel controls, bias jacks, and the effects loop. Not only is this an elegant way to build with fewer long wires extending across a larger board, it is also a more robust way to build as there is not a single, large board that needs to flex during transport. The J-MOD 100 also features a “laydown-style” power transformer for build integrity. It’s s truly stunning piece of high-end audio gear for discerning players – and on its way to Europe soon! PRS Guitars has announced its new Sonzera series of guitar amplifiers, consisting of the Sonzera 50 Watt Combo, Sonzera 50 Watt Head, and Sonzera 20 Watt Combo. Destined to be a go-to choice for pros and amateurs, each model features a clean and lead channel with independent controls for maximum versatility. Featuring a rugged-gauge steel chassis, custom transformers rigorously designed to PRS specifications and road-ready construction, each Sonzera model is ready to deliver serious tone with maximum reliability. Their highly-versatile twin channel layout with independent controls delivers a wide variety of tones from clean to overdrive. A big, full, 3D clean channel combined with a rich 3-spring reverb produces an abundance of shimmering, ‘chimey’ tones, while the Sonzera’s lead channel carries a punch from edgy overdrive, to a stacked onslaught of full-on soaring lead tone. Both channels are maximised for note clarity and definition. The lead channel’s circuit design makes it easy to set up the lead channel to act like a boosted clean channel if so desired. Conversely, the tone controls can also be manipulated to make the channels sound like two completely different amplifiers. The bright switch feature helps deliver familiar high-end snap, while the presence control and independent EQ for each channel allows players to quickly dial in a classic bell-like chime or warmer, muscular tones at bedroom levels, on stage or in the studio. The Sonzera sports one JJ ECC835 and three 12AX7 preamp tubes and two power tubes (6L6GC’s for the 20 Watt amp and EL34’s for the 50 Watt amp). The combo versions have 12” Celestion V-style speakers. 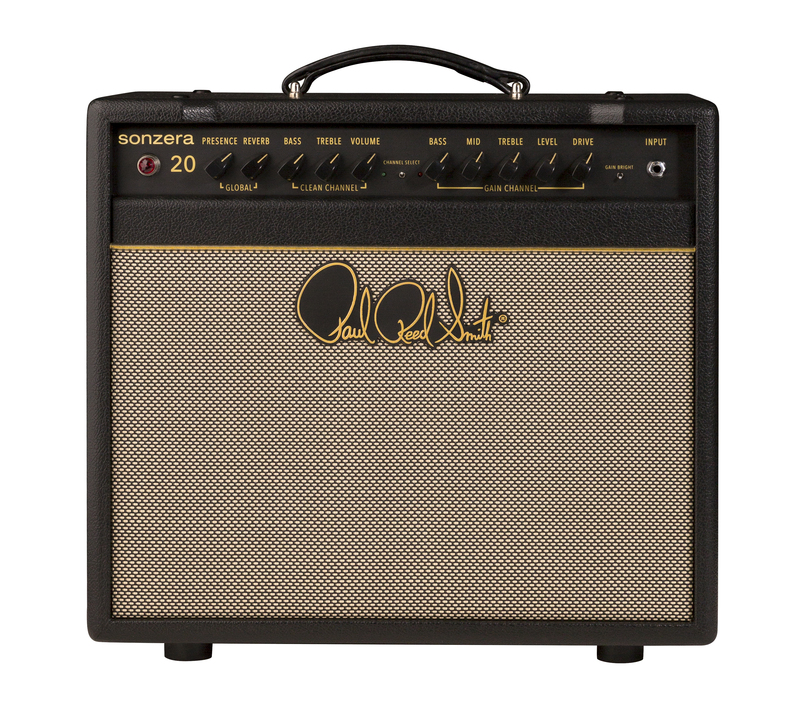 The Sonzera 50 watt versions have independent reverb controls; 20 watt amp has a global reverb control. The reverb is designed to enhance notes without clouding them and can be turned on or off via the footswitch. The effects loop (great for adding in time-based effects) was designed as an integral part of the circuit. “The Sonzera combines surprising flexibility with simple design; and produces big, clear tone from a convenient grab n’ go platform,” Mark Lettieri, Snarky Puppy.